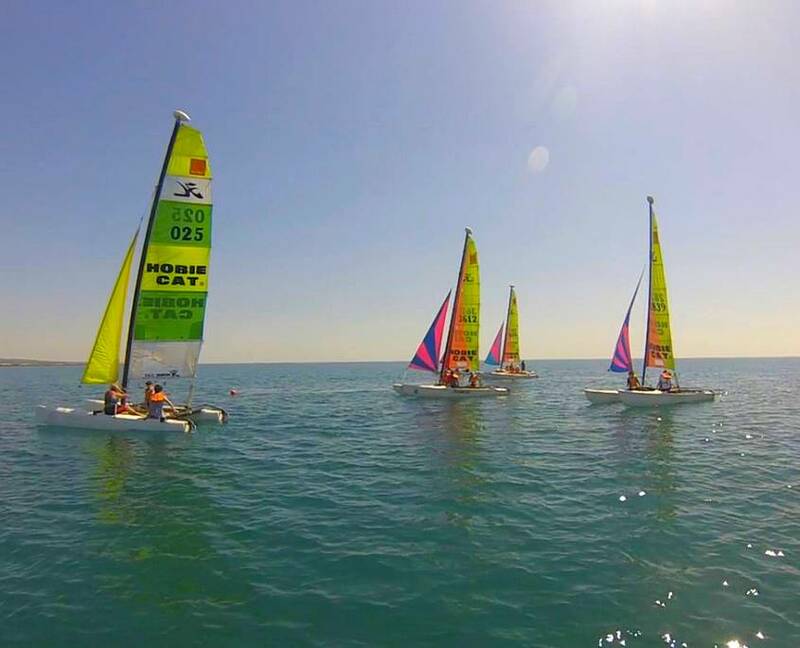 Our reason for being : Get people to sail in optimal conditions. 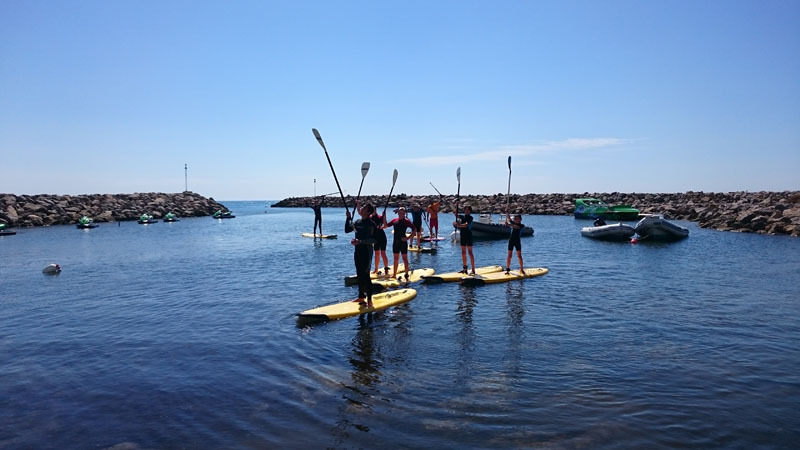 Therefore, the nautical center offers classes made by qualified instructors and also all the equipment and comfort necessary to progress and have fun in complete safety ! Get ready for a single feeling, all happens here ! 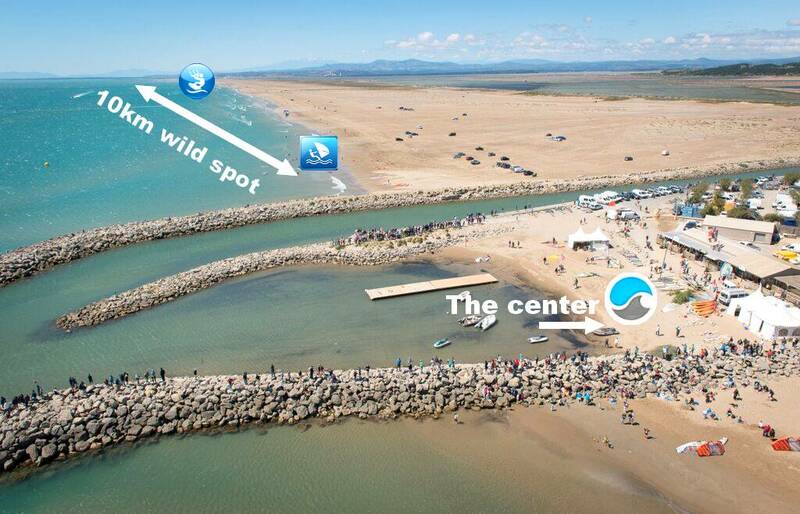 Situated in Gruissan, the Nautical Center offers you to ride in the middle of the Narbonne’s natural park. 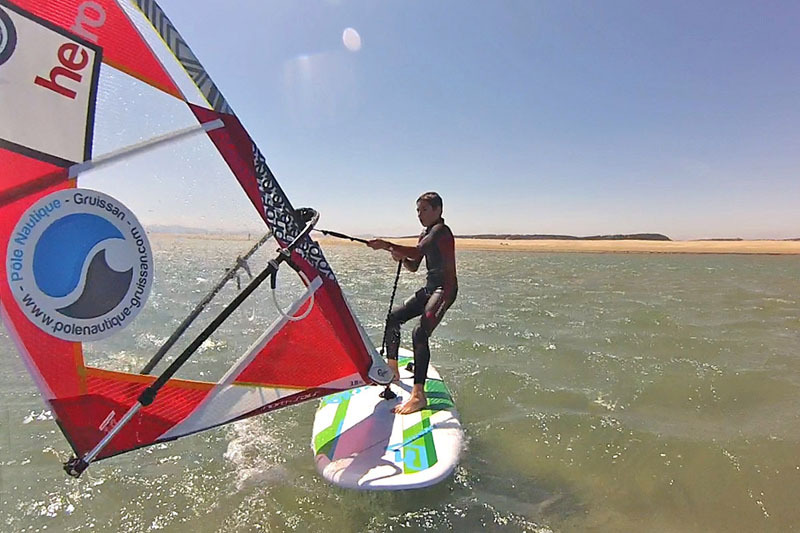 Come and ride on the scenary of the film “37°2 le matin” ! 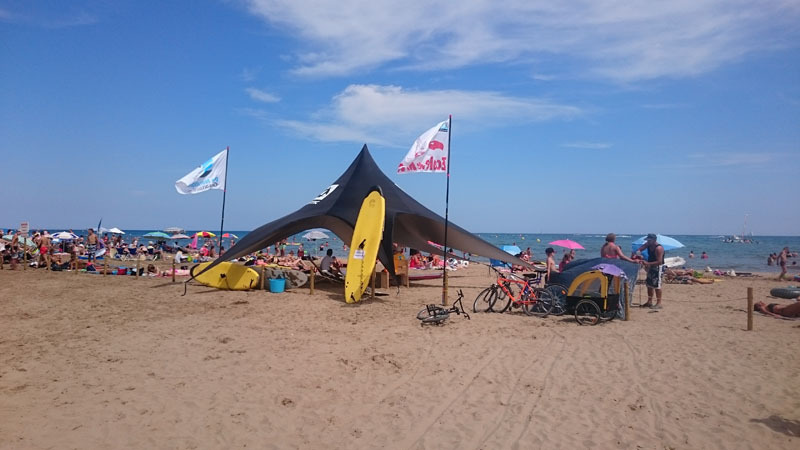 Our sea center is situated on the beach of the Chalets. 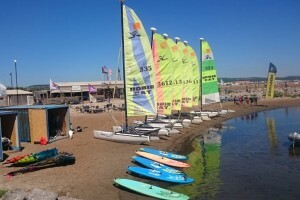 It represents the headquarters of Gruissan’s nautical activities. 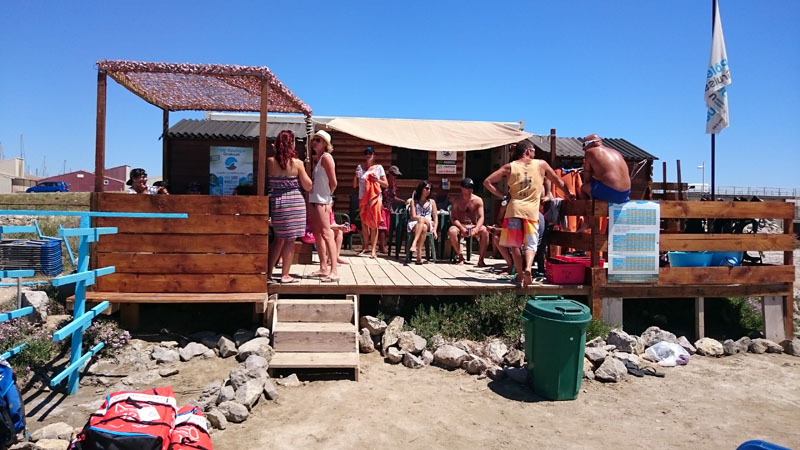 Our team is waiting for you to share good vibes on the water ! 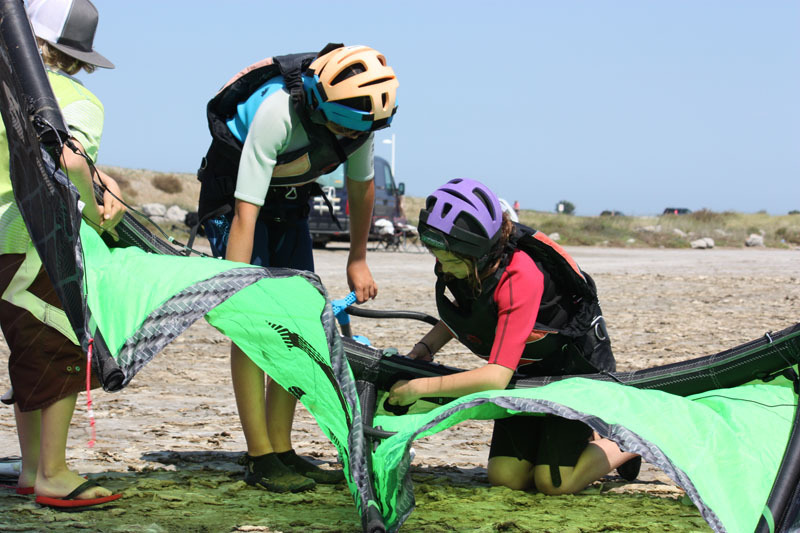 Learn and progress in kitesurf on a old saline at the heart of ther Regional Natural park of the Narbonnaise. 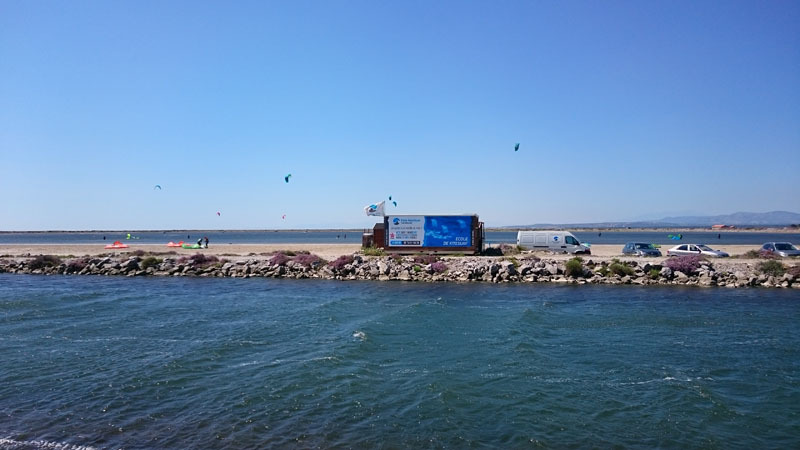 The pound center of the nautical center is situated on the pound of Grazel. 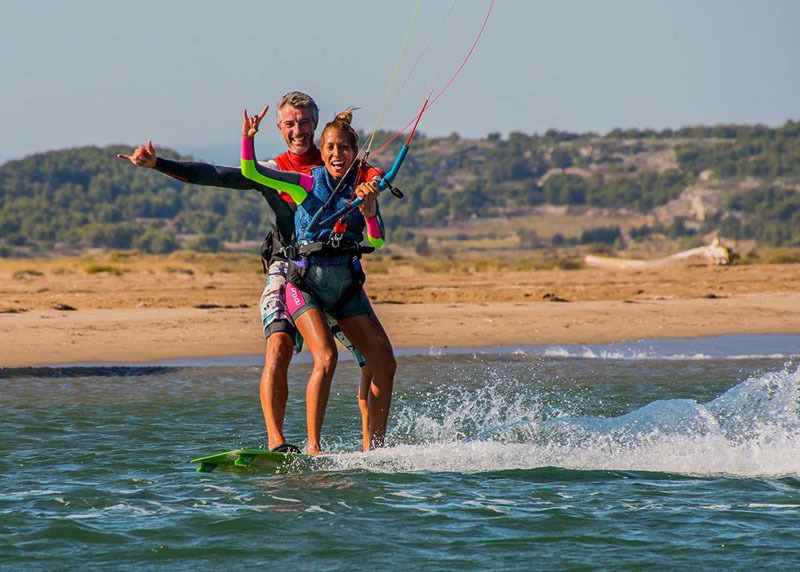 It’s the best place to learn and improve your kitesurfing skills. 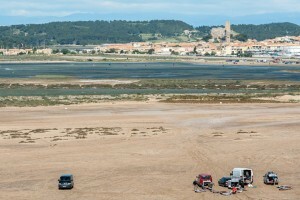 Enjoy the magnificent view of the old Gruissan’s saline : what better way to improve your skills ?! 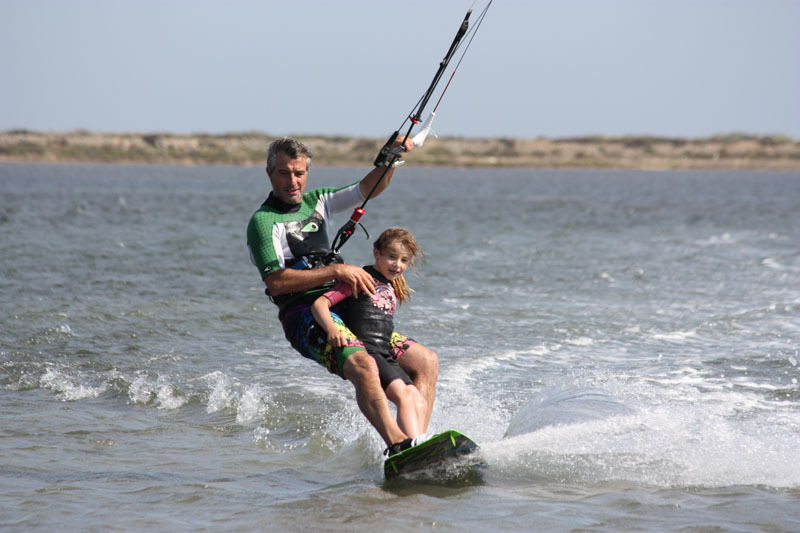 All of our instructors are state certified, but above all, true passionate persons ! 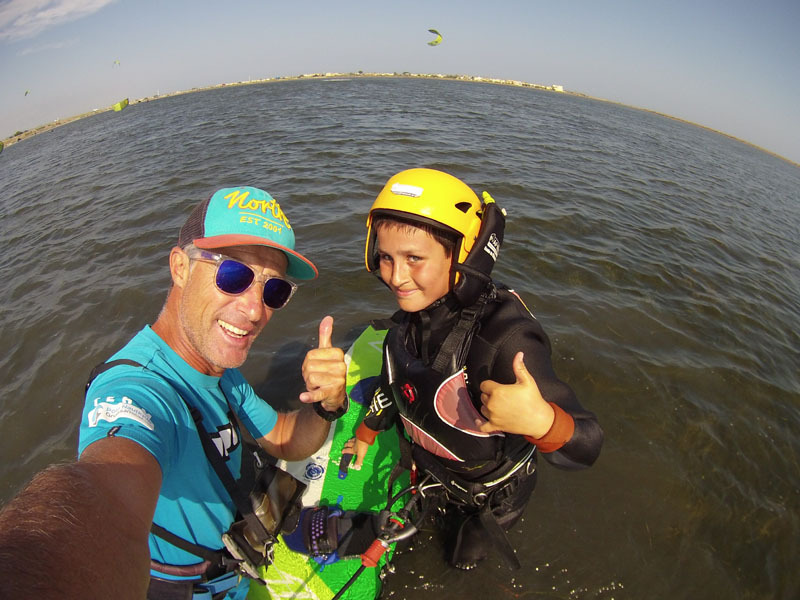 GKP’s founder for 10 years, backed by 20 years of nautical pedagogy experience, this sport and this job don’t have any secrets for him. 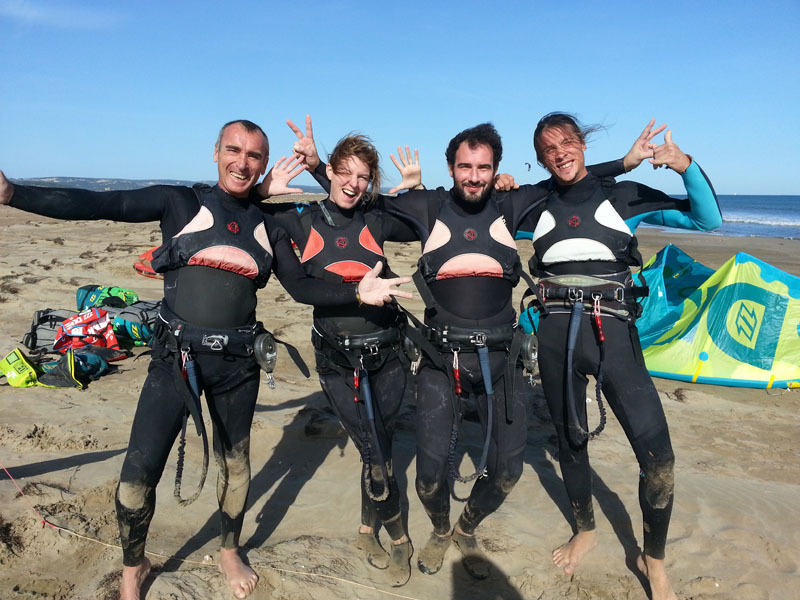 Kitesurf magazine stuff tester for over 4 years, Jérôme joined the Gruissan Nautaical Center School this year ! 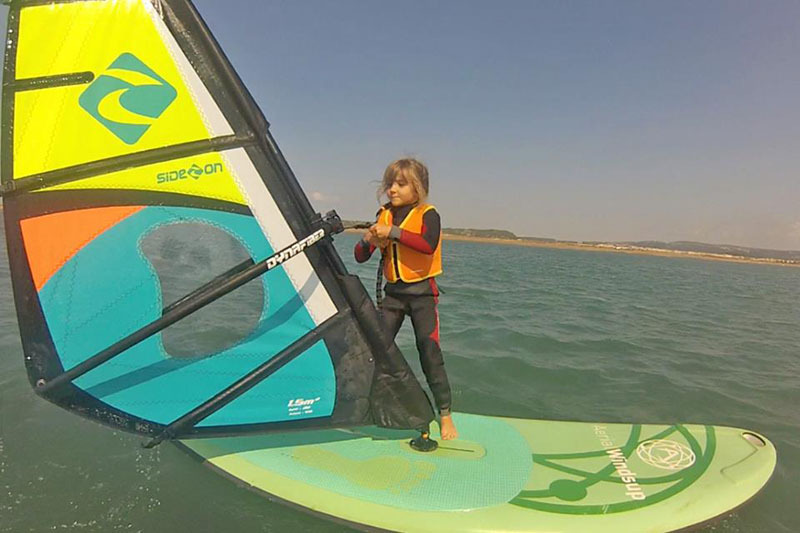 It’s our Windsurfing specialist. 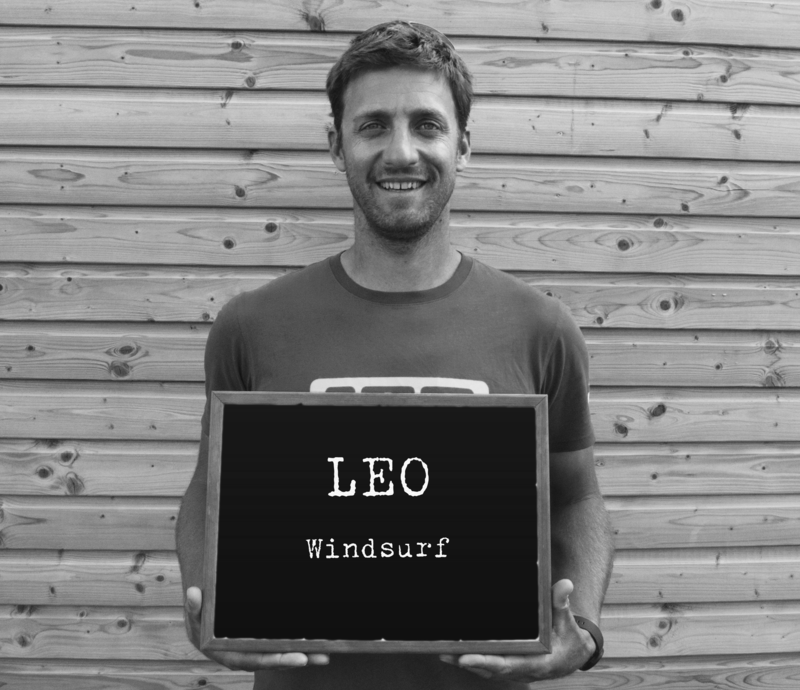 After many years of wave and freestyle competition, Leo decided to stop his way in Gruissan for 4 years. 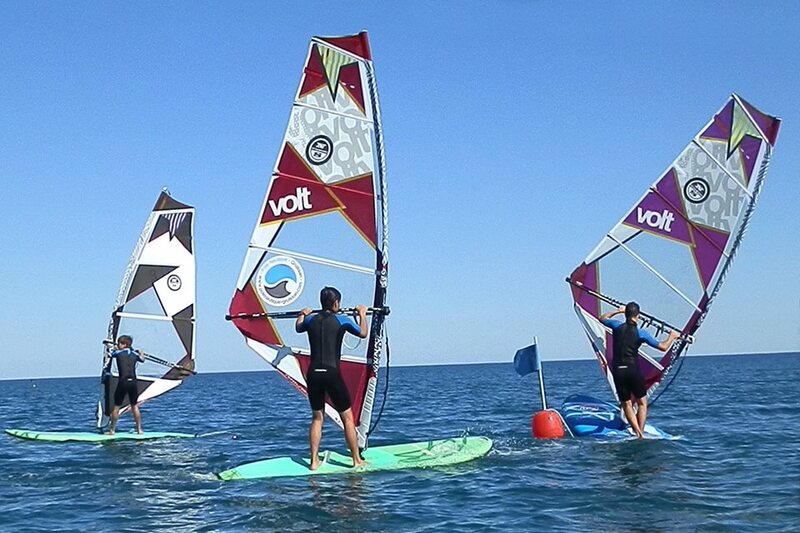 Close to his guests, you will discover or rediscover all the facets of the windsurf. 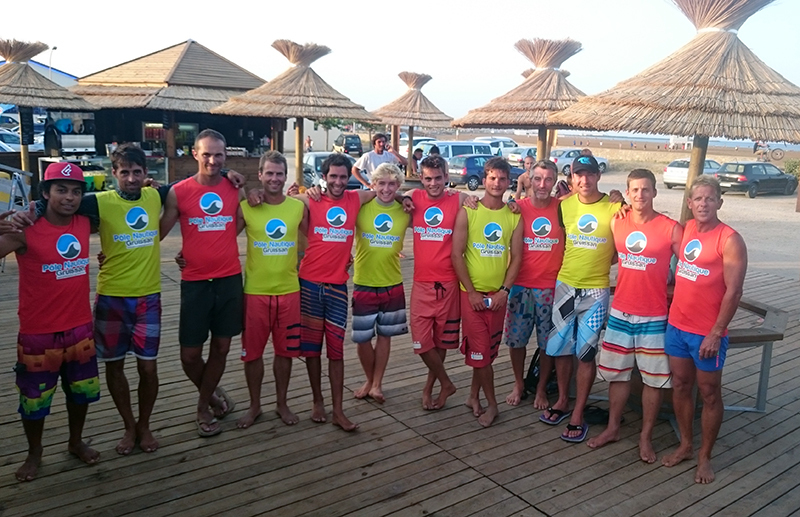 Always smiling to manage the sea center, Arnaud represents one of the most enthusiastic and important person of our Nautical Center ! 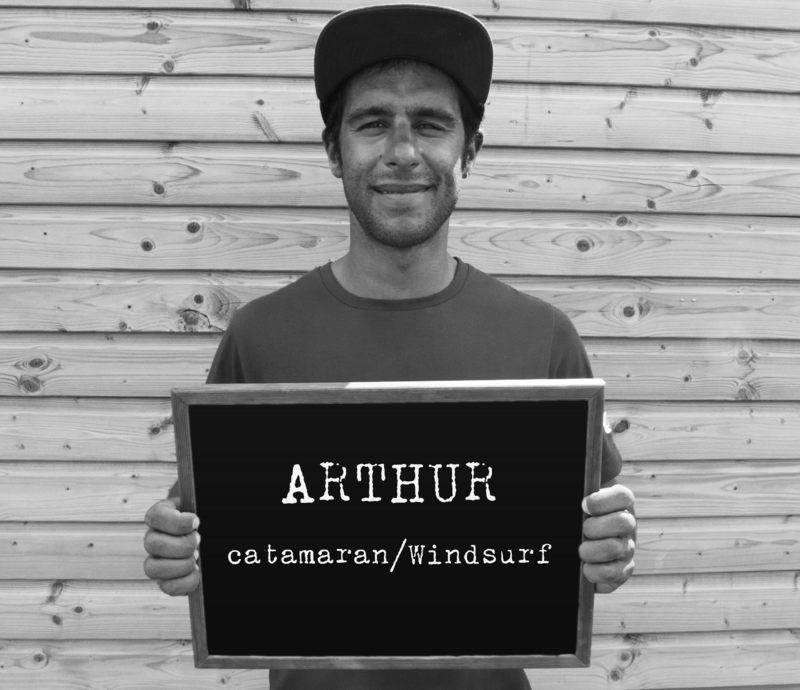 Arthur is our sailing expert. 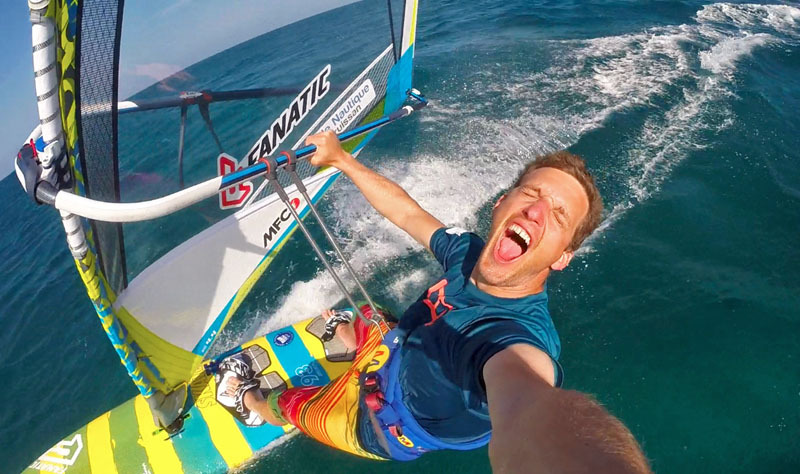 He will give you all his knowledge about sailing throught windsurfing or catamaran lessons. 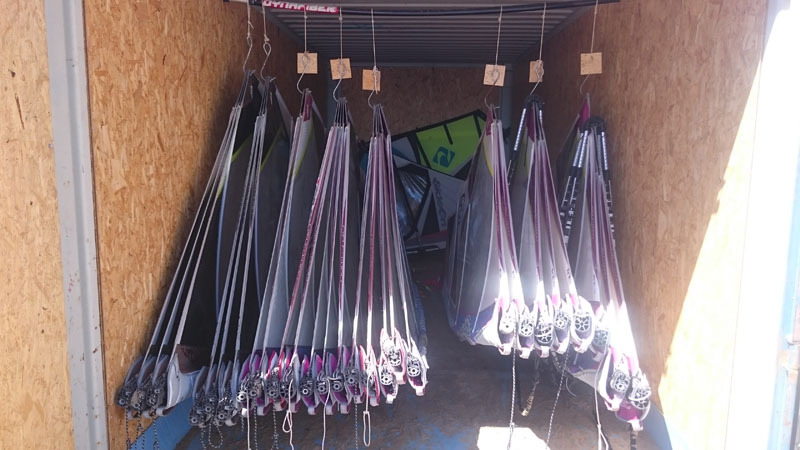 After a trip in Margarita (Venezuela), he is coming back with a really good level of windsurf. 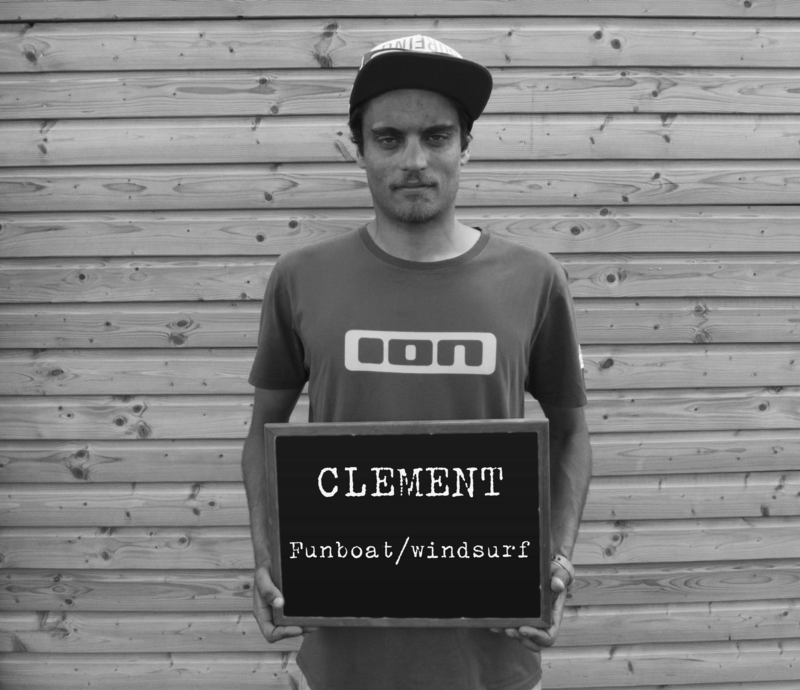 Newcomer in 2014, Clément found his place into the team. Idol of our young trainee, he knows how to be receptive even for the little ship’s boy than the others riders. 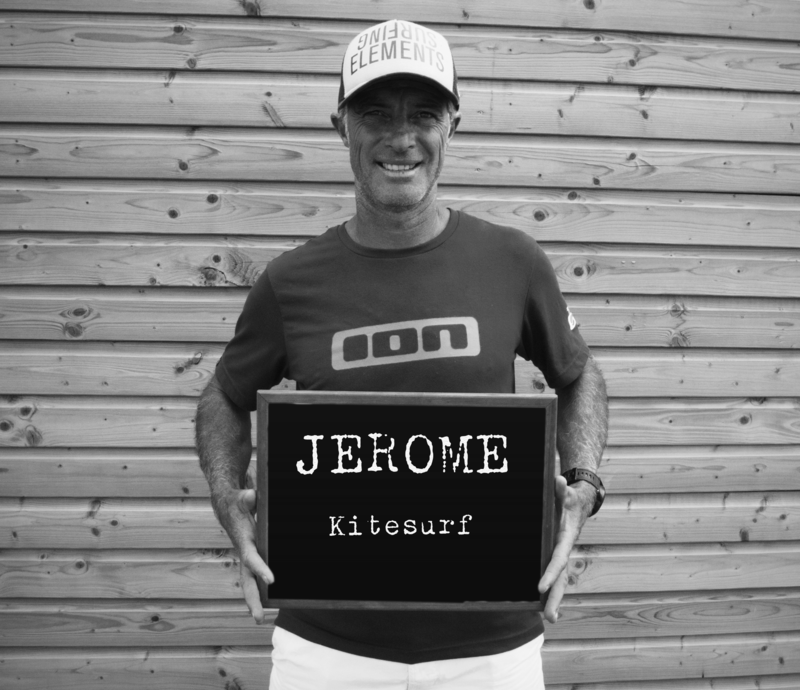 We can say that Pierre is our “No stress instructor”. Building on 10 years of experience, he exactly knows how to make you progress without any constraint with, of course, professional rigor ! After season, don’t try to find him over the mainland… He manages his school on his home spot : Guadeloupe. 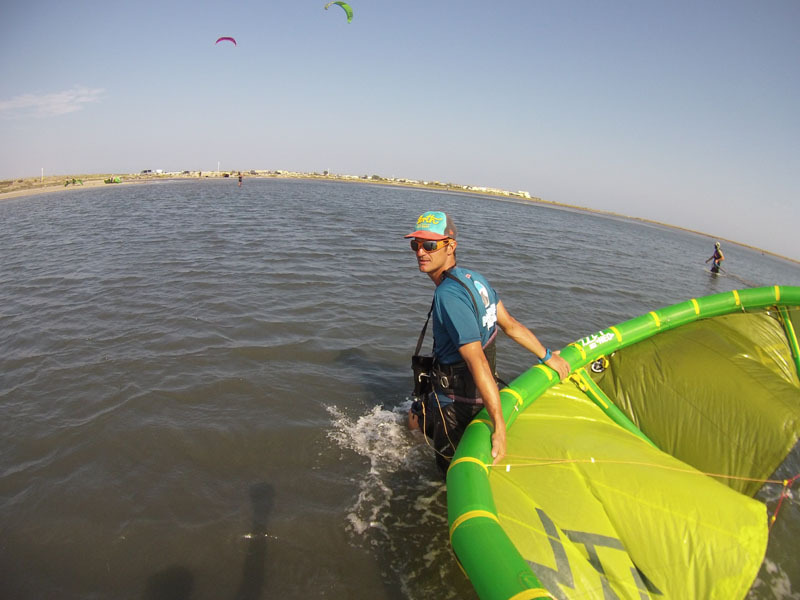 Corentin is the newcomer of the team. 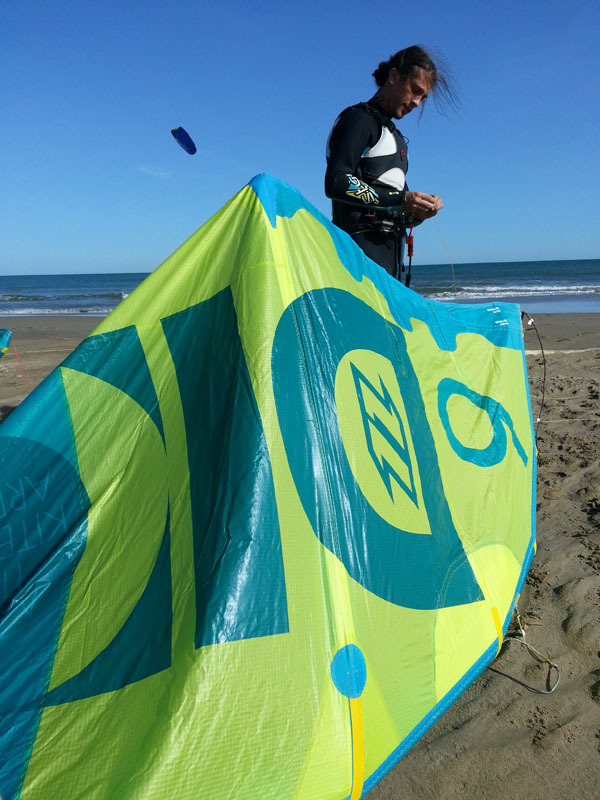 During his Kitesurf formation, he comes in a unique aim, become a kitesurf instructor ! 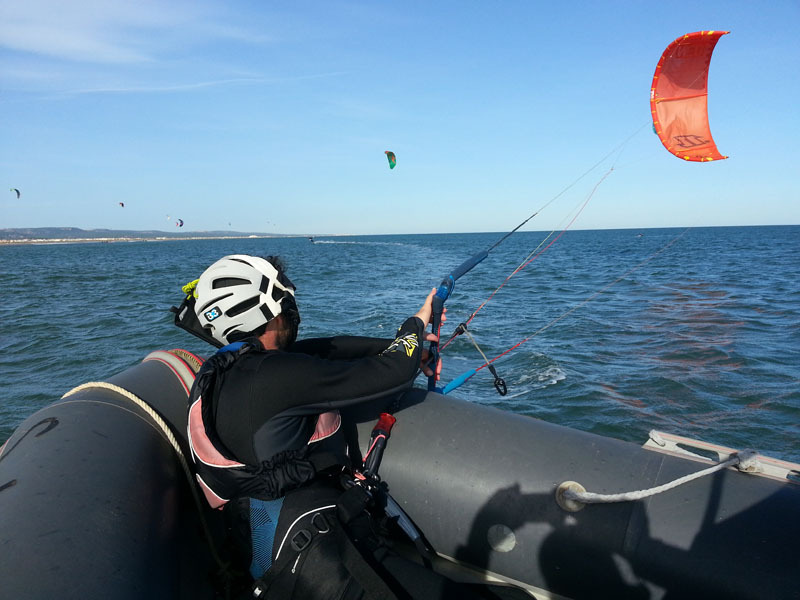 He knows that Gruissan is the perfect place to reach his objective ! 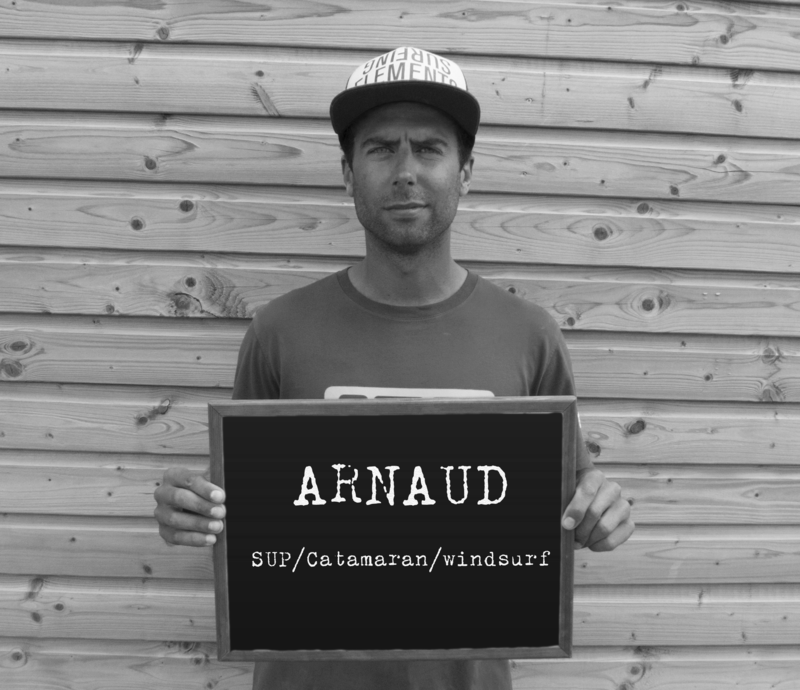 Welcome Corentin ! Nemo is a local men. 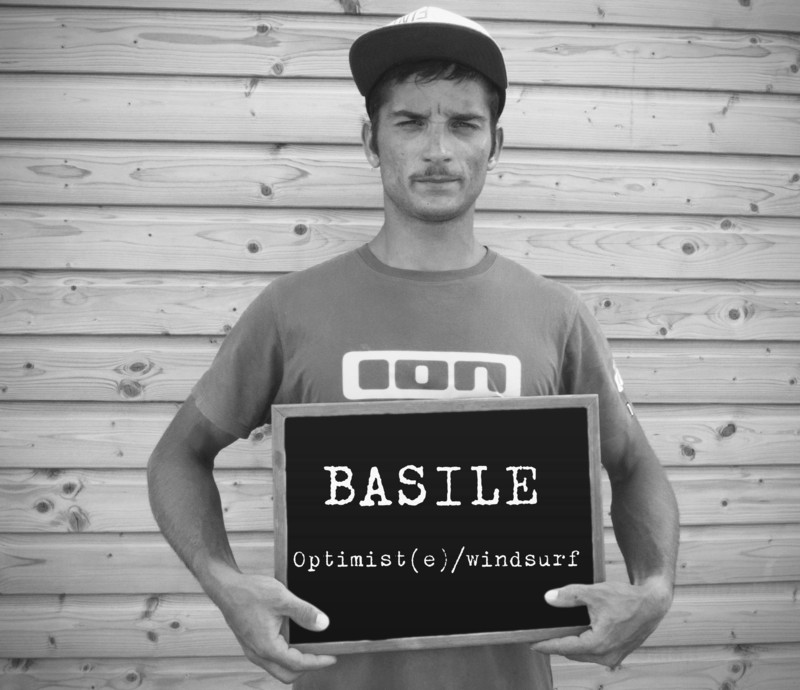 Agile on his skateboard, his longboard, on a surf and also a Kite, he is in charge of the reception. He perfectly knows our functioning to helped you as effectively as possible.